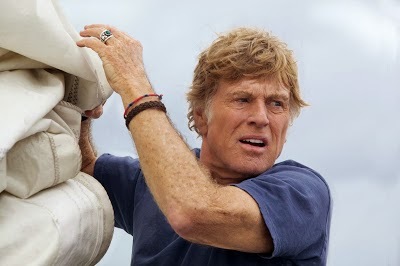 All is Lost - Academy Award-nominated writer/director J.C. Chandor (Margin Call) takes the helm for this tense adventure drama about a man (Robert Redford) who must fight for survival after being lost at sea. As simple as that. I understand it is almost entirely dialogue-free, but a powerful and technically marvelous study of the strength of the human spirit. Tracks - A young woman - Robyn Davidson (Mia Wasiskowska) - goes on a 1,700 mile trek across the deserts of West Australia with her four camels and faithful dog. Vampire Academy - Rose Hathaway (Zoey Deutch) is a Dhampir: half human/vampire, guardians of the Moroi, peaceful, mortal vampires living discretely within our world. Her legacy is to protect the Moroi from bloodthirsty, immortal Vampires, the Strigoi. 300: Rise of an Empire - Based on Frank Miller's latest graphic novel Xerxes and told in the breathtaking visual style of the blockbuster "300," this new chapter of the epic saga takes the action to a fresh battlefield-on the sea-as Greek general Themistocles (Sullivan Stapleton) attempts to unite all of Greece by leading the charge that will change the course of the war. Themistocles is pitted against the massive invading Persian forces led by mortal-turned-god Xerxes (Rodrigo Santoro), and Artemisia (Eva Green), vengeful commander of the Persian navy. Weekly Recommendation: Yet to see any of these, despite some opportunities. It has been a long time coming for All is Lost. It premiered at the Melbourne Film Festival last year and the release date has continued to be pushed back. It and Tracks - which I understand is quite good - are on my list this week. I doubt I will see Vampire Academy or Rise of an Empire. I absolutely hated 300.